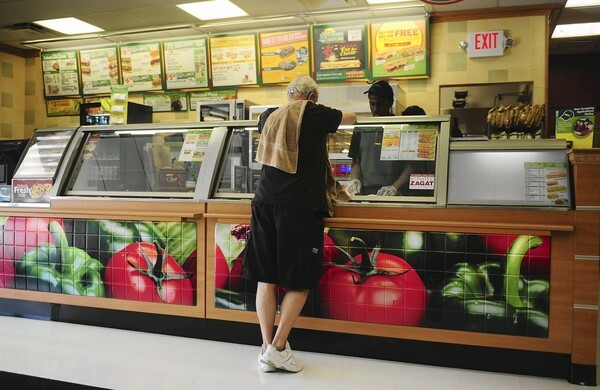 Subway stores are getting a makeover in South Florida. The Florida Atlantic University campus in Boca Raton will get the first Subway Café in Florida, and one of many to come to South Florida soon, according to Subway Development Corp. chief executive, Larry Feldman. Subway Café will offer an expanded menu, which includes gourmet coffee, salads, paninis and pastries. The new stores will offer leather seating, with hardwood and marble floors, stone inlays in the walls and flat screen televisions in the dining area. Feldman says that the new design will open mainly in metropolitan areas, such as high-rise office buildings, university campuses, fitness centers and hospitals. “This is not your typical Subway,” said Feldman, whose regional headquarters is based in Boynton Beach. The first Subway Café opened in theWashington, D.C., area in 2008, but Feldman thinks the upscale concept will excel in South Florida. Feldman runs 1,200 stores in South Florida, Washington D.C., Maryland, Virginia and Delaware, with more than 270 of those stores in Palm Beach, Broward and Miami-Dade counties. Twenty eight Subway locations opened in 2011 in South Florida, and there are 20 under construction. Feldman hopes to have about 17 more in the works soon. In 2011, Subway passed McDonald’s to have the most fast food stores open in the world. There are now Subway stores in 100 different countries. The 3,400-square-foot store inside FAU is attached to the university’s football stadium, and will remain open until 4 a.m. to reach the student community said franchisee owner, Louis Giorgi. The expanded dining room will seat 70 people. “It is unlike any other Subway I’ve ever seen,” Giorgi said. Giorgi and his family own 20 Subway franchises in the Boca Raton and Delray Beach area. Aside from the FAU café store, another store will soon be opening in three weeks at Palmetto Park Road and A1A near Boca Raton beach. The initial investment fee for a new Subway franchisee is $15,000, Feldman said. For multiple location owners, that fee drops to $7,500. Giorgi owns the 400-square-foot store inside the Town Center at Boca Raton, but he’s even seen smaller locations in hospitals and even kiosks. Feldman hopes to expand the company into nontraditional spaces outside of strip centers and shopping malls. A new Subway location just opened inside the YMCA wellness center in Hollywood. Another will open at the YMCA location in Pembroke Pines soon, he said. There’s also a Subway store inside Jackson Memorial Hospital in Miami. This entry was posted on Monday, May 21st, 2012 at 8:31 am and is filed under Future Plans/Announcements, Growth, Menu Development/Innovation, Menu Trends, Sandwich. You can follow any responses to this entry through the RSS 2.0 feed. You can leave a response, or trackback from your own site.